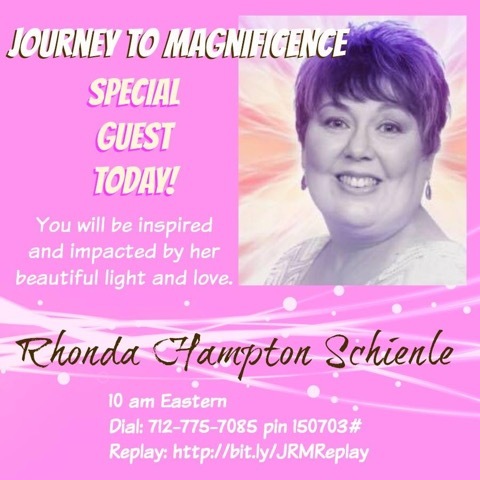 Join Reverend Rhonda Schienle on the 2nd and 4th Sunday every month from 5:00 PM to 7:00 PM Central Time to discuss Spiritual Practices on 24.7 The Stream. During the live shows you can join in the conversation by participating in the moderated 24.7 chat room, and discuss topics with the hosts, guests and other listeners. Spiritual Practices begins with realizing we are of Mind, Body and Spirit. One component of ourselves is just as important as the other. We are Spiritual Beings having human experiences, as Pierre De Chardin so eloquently says. We each have our own unique individual expression of God, our creator. So, with our personal Spiritual Practice it is very wise to acknowledge all three components of ourselves, Mind, Body and Spirit. Some examples of Spiritual Practices range from using affirmations, prayer, art, yoga, Zen meditation, forgiveness and gratitude. Also taking spiritual classes is a great example. Our guests may share some of their life experiences that led them to living a more spiritual life as a result. For example, a near death experience or health crisis. While other guests may provide ideas to the wellness of our mind, body and spirit. So there is much to be shared and to learn here and we hope you find this interesting and enlightening, as well.